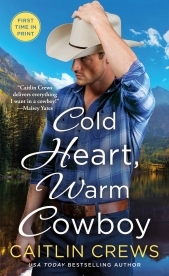 Three very different brothers, kept at each other’s throats by their bitter father for most of their lives, are forced to come together after the old man’s funeral to decide the future of the family legacy in the Colorado Rockies, Cold River Ranch. Little do these tough, hard cowboys know that it isn’t just the ranch they stand to lose… but their hearts. 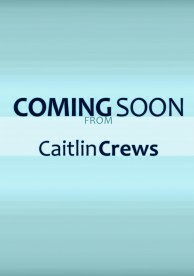 The Clan is a place to discuss the books of Megan Crane and Caitlin Crews — two names, one author. There will be exclusive bonus scenes, cover reveals, and other insider information and fun, just for you! Gray Everett has always loved his land. It’s people he has trouble with. He’s never thought about dependable Abby Douglas from the neighboring farm one way or the other, but once he starts thinking it would make sense to find himself a wife, she’s the only one who will do. She’s practical, down to earth, and not at all dramatic. She understands the life of a rancher. She’ll even make a good stepmother to his motherless teen daughter. Likes: The land, his family's legacy, his quiet life. Abby Douglas has been in love with her neighbor, Gray Everett, all her life. He’s never noticed her existence. Until the day stern, uncompromising Gray shows up with a marriage proposal any sane woman would turn down. Of course she can’t marry him. Of course she can’t sign up to be whatever the modern equivalent of a mail order bride is… can she? But Abby never claimed to be particularly sane. And maybe, just maybe, she can love enough for the both of them. In the central Rocky Mountains of Colorado, some miles and whole worlds away from the tony ski slopes of Aspen and the glittering city life of Denver, lies Cold River Ranch. Three generations of the Everett family poured their lives into the land, running Angus cattle on over four hundred acres of prime real estate outside the small, western town of Cold River in the remote and scenic Longhorn Valley. When Amos Everett dies unexpectedly, he throws everything into chaos—a state of affairs that likely would have pleased him. A gruff and unforgiving man at the best of times, Amos managed to alienate all three of his sons after he ran their mama off for good when the boys were still young. That’s why, by unspoken agreement, Amos’s grown sons have had as little to do with their father—and each other—as possible since they grew up and got out from under the old man’s thumb. Brought back together at their father’s funeral, Amos’s three sons have a lot of decisions to make. The bank is circling and rich, fat cat investors want to develop the land into condos for Colorado’s ever-voracious seasonal tourists. 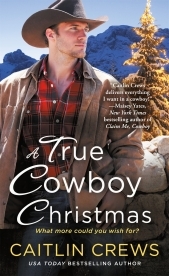 The Everetts have one gorgeous year in the Rocky Mountains to come together as a family and save their heritage once and for all—or lose the ranch, and each other, forever.